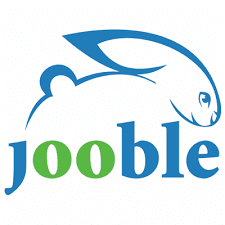 For a while now, I have felt like I need a change. A change in what I eat, a change in my daily routine and a change in my attitude. I have been in need of a boost and to that end, I've been looking at what I put in my body as well as what I put on my skin. First of all, I have started juicing. 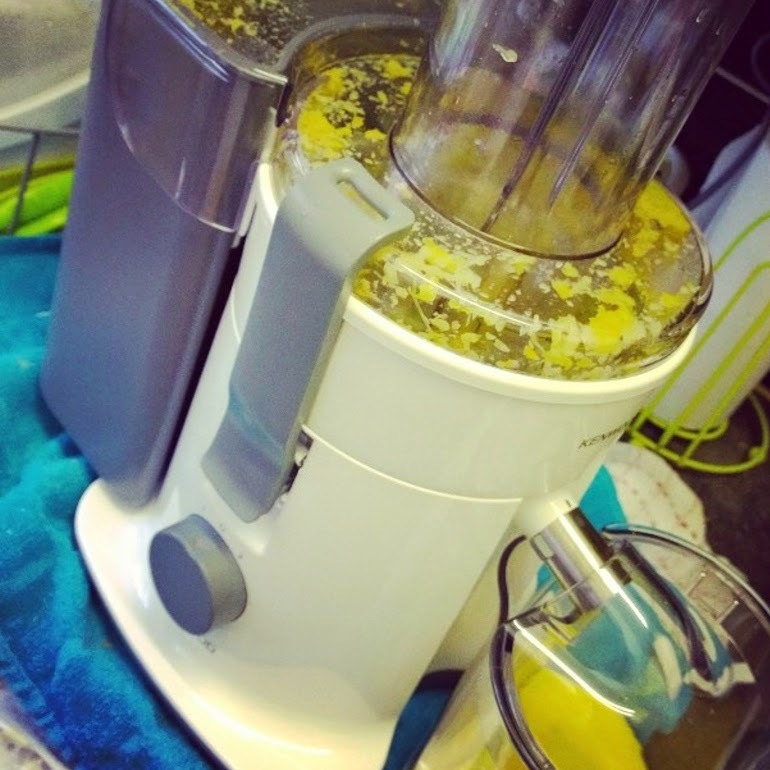 Once I bought my juicer, I was eager to blitz anything and everything in sight and I've found the whole juicing scene to be quite addictive. I've read countless blog posts, swotted up on 'juice master' Jason Vale's top tips and experimented with all sorts of concoctions in the kitchen. I'm not doing a faddy diet by any means - I simply want to make sure I'm receiving lots of vitamins each day to help me feel better all round. The key to successful juicing as I've come to understand it is to make sure you have plenty of 'green' ingredients - think kale, spinach, celery, cucumber and even avocado (love it in a salad, not so keen on it in a glass!). If you get the balance right, you can hardly tell you have any veggies in your juice and I find that using ginger, lemon and honey all help to keep my juice tasting good, whilst giving me lots of other nutrients and good things too. 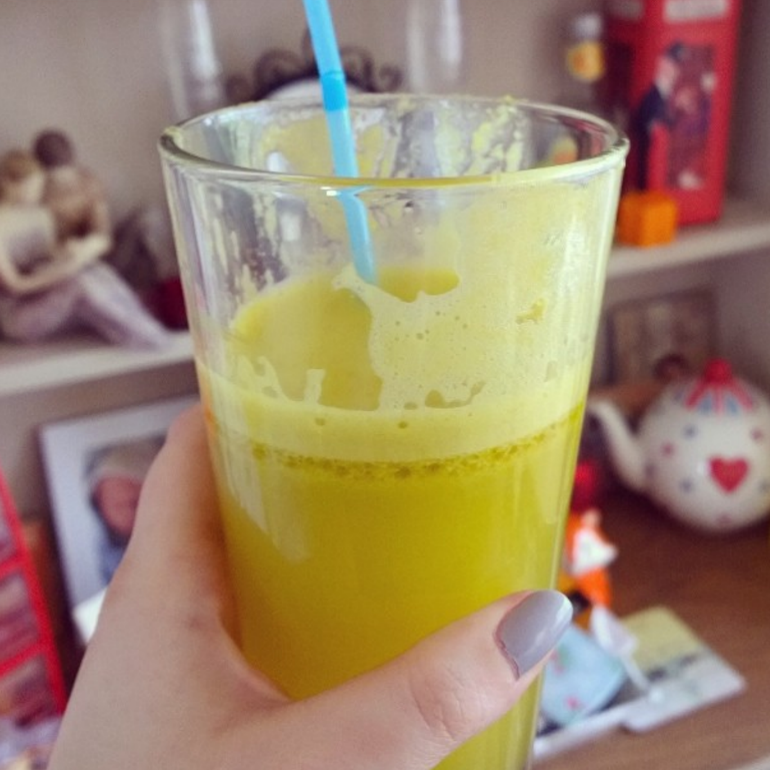 My favourite concoction so far is made up of two oranges, two apples, two celery sticks, a handful of spinach, an inch of ginger, squeeze of lemon and a squirt of honey. Mmm! I've been adding some wheatgerm powder too, after reading about how fantastic this can be for energy levels, dietary health and detoxing on I Am Into This a while back. In fact, it was in the same post that I first came across Udo's Choice and their renowned Ultimate Oil. Packed full of essential fatty acids and Omega oils, this oil really is the ultimate if you're looking to give yourself a boost in terms of health and in the beauty stakes too. How? Well, our bodies cannot produce essential fatty acids so we need to get these from our diets, which can sometimes be rather tricky, to support our general health. Food processing or heat during cooking can destroy the EFA's that can be found in our food, which is where the Ultimate Oil comes in. It's a premium natural source of unprocessed, undamaged Omega 3 and 6 in a ratio that supports optimum health, plus Omega 3 Alpha Linolenic Acid found in Ultimate Oil Blend contributes to the maintenance of normal blood cholesterol levels. This all sounds great but for me, the main reason I was keen to find out more was due to the potential beauty benefits it may provide. 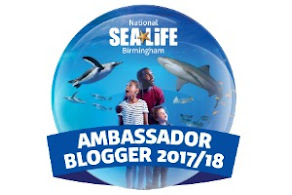 According to Udo's Choice, "By supplying your body with the correct fats – Omega 3 and 6, it allows your skin's cell membranes to hold onto water. In this simple action the omega oils work as internal moisturisers, giving you beautiful skin from within. At the same time as the cells in your hair and nails benefit too, it is observed that hair gains a new lustre, and nails become flexible and strong." Well, that was enough for me to pick up a bottle! You can add the oil to your diet in a variety of ways; I drizzle it over my lunchtime salad or stir it into pasta or whatever else I am having for dinner, after cooking, and just two tablespoons is all you need each day. You store the bottle in the fridge and I have a small salad dressing bottle of it in the fridge at work too for convenience. Celebrities such as Jodie Kidd are a fan and after using the Ultimate Oil daily for almost two months, I have to say I am too. Knowing I'm doing something every day to help give me a healthy boost is great but I'm sure that taking the oil has had a large part to play in the current condition of my psoriasis. Sure, I still suffer with it and my legs will not be making an outing this summer but I have seen quite a bit of improvement. The sore patches I get on my legs have disbanded somewhat, so there's smaller patches rather than one big area that's affected my psoriasis. The softer scales I seem to get on my arms have smoothed considerably and aren't as noticeable as before and my scalp is pretty clear for the first time in three years (I feel that this is also due to the Barefoot SOS shampoo I use every time I wash my hair - it really has made a difference, much more so than the nasty tar lotions I have been given in the past). I have used Udo's Choice Ultimate Oil once or twice a day as consistently as possible for almost two months and it has been the only real change to my daily routine. And it has easily become part of my routine now, without even thinking, and I am really pleased to say that it has made a difference for me. You'll have to take my word for it as I'll spare you photos of my poor skin - it's still far from pretty but I have hope that one day it'll be psoriasis-free one day. 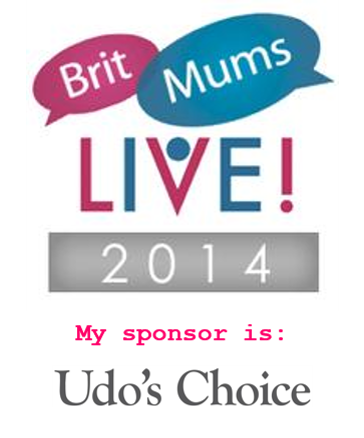 I am also really pleased to say that Udo's Choice is my sponsor for BritMums Live 2014. 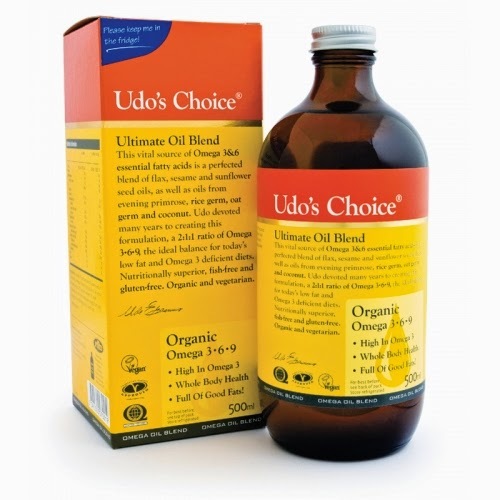 My opinion about the Ultimate Oil is genuine and I feel lucky to be working with a great brand like Udo's Choice as it's relevant to my lifestyle and to other busy mums too. Udo's Choice also offer digestive enzyme and microbiotic products for all members of the family so there's a supplement to suit different lifestyles. 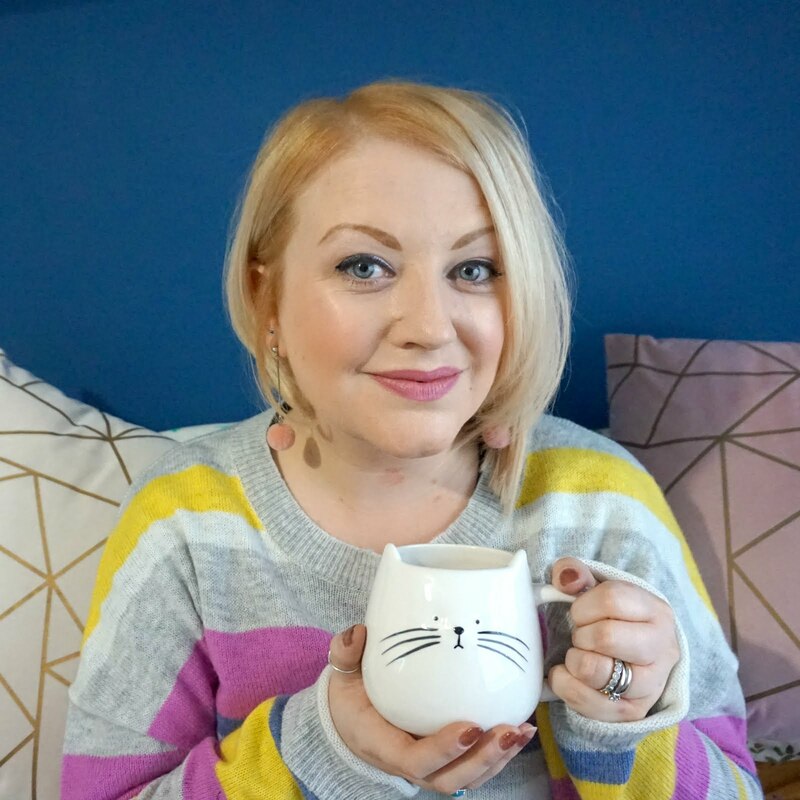 If you'd like to know more about Udo's Choice or their Ultimate Blend Oil, visit their website, follow them on Twitter or have a chat to me at BritMums Live - I'll happily tell you more. I've just ordered a nutribullet so smaller version of a vitamix - hoping I'll be able to replace my bad eating habits with some smoothies and juices - more of the veggie options rather than fruit. My only worry is I'm on warfarin so have to watch out for leafy veg - v annoying as I love spinach and broccoli, especially as spinach works well in juices. I've heard they're great. Juicing is quite addictive once you start! You're welcome! It's a great idea and I love reading with other people have been doing.